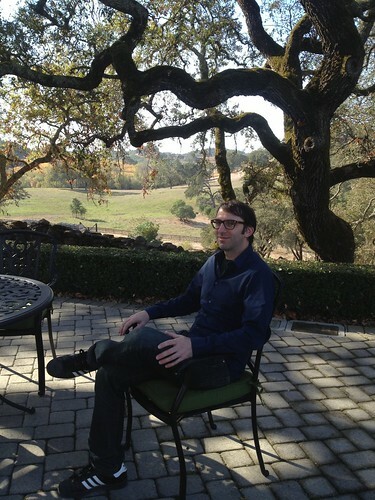 This two-part podcast starts on the courtyard of the winery, where I have an amiable and informative chat about food and wine pairing with Jordan’s Directory of Wine, Greg Miller. 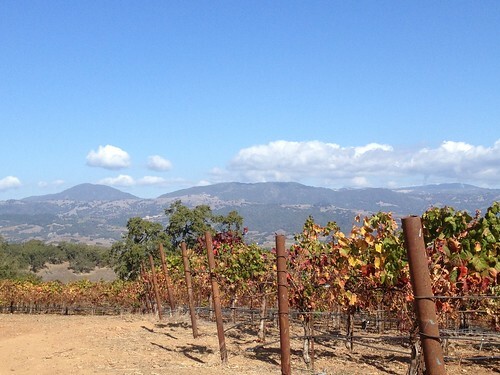 Jordan makes two wines: Chardonnay and Cabernet Sauvignon. I’m a big fan of the former, as it has enough oak to make it rich and interesting, yet enough freshness and zip to keep it lively. And the Cabernet is an ageworthy delight. 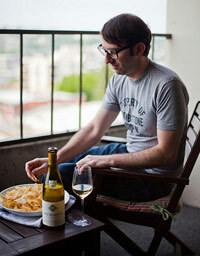 If you’ve ever wondered about pairing wine and cheese, things get really interesting when Greg opines on the matter. We also cover a topic that I found enlightening: how does food pairing with an aged wine differ from doing so with a young wine? 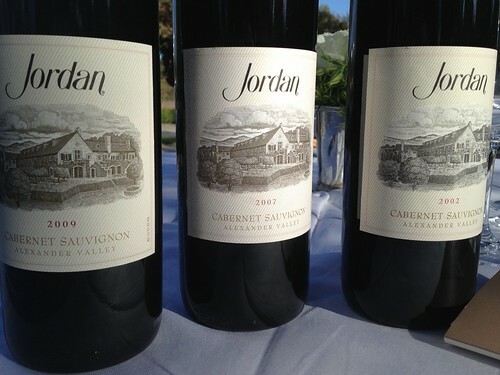 Are there matches better, say, with the current release of Jordan Cabernet (2009) than the 2002? How do you adjust your thoughts (and menu) when a decade-plus old Cab is being poured? 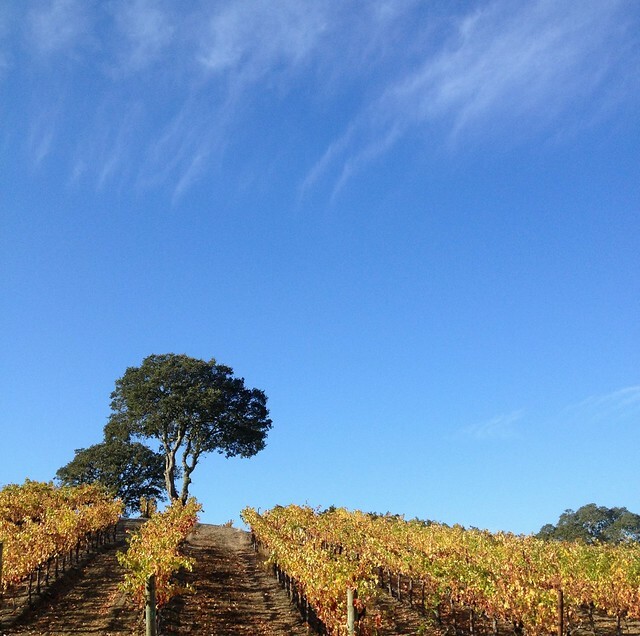 Sated with Cabernet and cheese, I rode up to the top of Jordan’s property, for not only the impressive views, but also to chat with CEO John Jordan. We talk about how he got his pilot’s license as a teenager, my mistake of trying to usurp the front seat of a car from two of his three enthusiastic dogs, and the launch of the Estate Tour and Tasting. Plus what makes Jordan unique not just from the experience of the tour and tasting, but also in the style of the wines and the place of Jordan within Sonoma and the larger culture of California wine. Hey, addidas. Podcast sponsorship available, FYI. Don’t sleep on the Jordan olive oil. 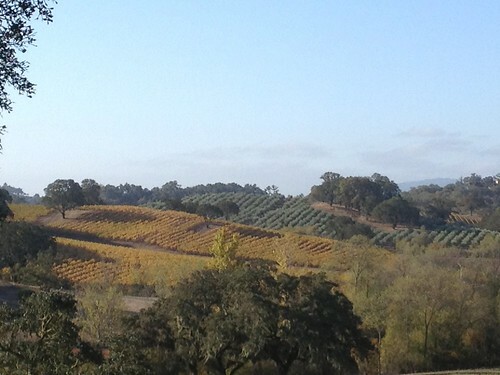 Those are olive trees behind the grape vines. The weather and the fall colors certainly were a big help. Thanks!